(Annapolis, MD) – Next week, the RSuite team of Orbis Technologies, Inc. will be onsite for MarkLogic World San Francisco. In addition to exhibiting, Orbis is proud to be a Silver level sponsor for this event. “As MarkLogic’s first technology partner, we are excited to see their continued growth and we look forward to nurturing our partnership in the years to come,” said Orbis President & CEO, Brian Ippolito. MarkLogic World also presents Orbis an exciting opportunity to introduce two new RSuite team leaders: Kevin Chasse as Technical Director, and Gabriel Aviles as Director of Emerging Markets & Semantics. To learn more about RSuite and witness a demonstration, please stop by our booth, or schedule a private appointment here. RSuite® is the MarkLogic-based enterprise content management solution optimized for the creation, management, reuse and delivery of multi-format, multi-channel content. It combines the power of the MarkLogic platform with an enterprise‐strength workflow engine, a fully-integrated authoring and editorial interface, and an automated composition engine to support both print and digital outputs. For more information, please visit https://www.orbistechnologies.com/rsuite. For over a decade Orbis Technologies, Inc. has been a leader in building and deploying mission critical content and information management solutions. Beginning as a DoD software solution provider in 2006, Orbis continues to expand market presence to Fortune 500 businesses, Federal agencies, and global publishers and media companies. Our disciplined approach to software solutions and product development has afforded us the opportunity to work with premier clients around the world. We firmly believe in structured software solution development methodologies and hold ourselves to the highest standards to deliver quality products, services, and solutions that fully meet or exceed our customer requirements. Orbis is headquartered in Annapolis (MD), with additional offices in Audubon (PA), Orlando (FL), and Chennai (India). 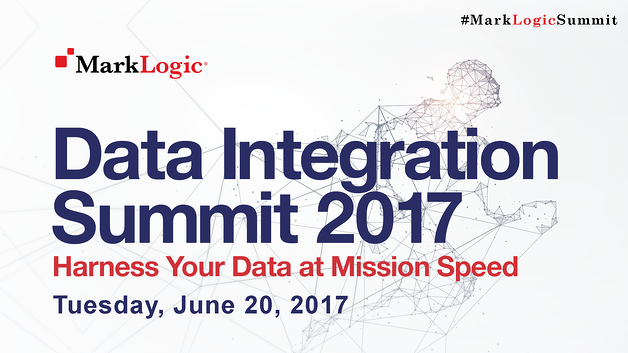 Orbis Technologies is a proud sponsor of the upcoming MarkLogic Data Integration Summit to be held on Tuesday, June 20, 2017 in Washington, DC. In addition to being an event sponsor, the Orbis team will be showcasing two of their enterprise solutions that are powered by MarkLogic: AARDVARK and RSuite. AARDVARK is the product of choice for tactical intelligence users. AARDVARK contains multiple Web-based applications and analytics that provides analytic, situational awareness, and intelligence production capabilities built upon the MarkLogic platform. Advanced automated extraction and information fusion finds hidden relationships in order to support the creation and analysis of social networks, organizational diagrams, and intelligence work products that are shared and searchable across the enterprise. AARDVARK provides templates for reporting and provides capability to create, modify, and export charts, graphs and dashboards. RSuite is a world leading enterprise information management solution optimized for the creation, management, reuse and delivery of multi-format, multi-channel content. It combines the power of the MarkLogic technologies with an enterprise workflow engine, a fully-integrated authoring and editorial interface, and an automated composition engine to support both print and digital outputs. Join us on Tuesday, June 20, 2017 at the MarkLogic Data Integration Summit 2017 at the Arena Stage at the Mead Center for American Theater, Washington, D.C.
Annapolis, MD – May 11, 2017 – Orbis Technologies, Inc. will be showcasing the award-winning RSuite Enterprise Information Management System at MarkLogic World Chicago (May 16th – 17th) and London (June 13th). Built on MarkLogic, the leading NoSQL database on the market today, RSuite offers enterprise class customers the ability to store and manage any digital content, apply semantic search for content discovery, and automate business processes to reduce time to market pressure. In addition to demonstrating RSuite’s core capabilities, the Orbis team will also highlight recent usability and design improvements as part of its demo. A key addition attendees can expect to experience is the use of RSuite for flexible management of business documents, as well as high-value content that requires controlled models and processes. Lastly, the Orbis team will provide a sneak peak into the software’s upcoming powerful content management exploitation of MarkLogic triple store for semantic metadata management. With a client roster of Fortune 1000 business, U.S. military and intelligence community organizations, federal agencies, and global publishers and media companies, Orbis has software deployed in over 50 cities on four contents around the globe. As a market leader in semantic-driven solutions, Orbis continues to leverage an extensive product base, including RSuite, while integrating best of breed technology solutions for mission-critical global deployements. RSuite is the MarkLogic-based enterprise information management solution optimized for the creation, management, reuse and delivery of multi-format, multi-channel content. It combines the power of the MarkLogic platform with an enterprise‐strength workflow engine, a fully-integrated authoring and editorial interface, and an automated composition engine to support both print and digital outputs. Founded in 2006, Orbis is recognized as an industry leader in providing services and technologies for designing and developing next-generation Big Data platforms and solutions. Orbis provides solutions and services to assist commercial and government clients with near-internet sized data integration challenges. For more information, please visit http://orbistechnologies.com/. RSuite Celebrates Ten Year Anniversary! Audubon, Pa.— October 13, 2016—RSuite is celebrating a decade serving the global publishing community’s automation needs to meet the increasing demands of a multi-channel and multi-device world. With thousands of users around the globe, RSuite has provided the automation tools necessary to reduce time to publication by over 50%. Powered by MarkLogic, RSuite continues to evolve to meet the enterprise publishing needs of Fortune 1000 businesses, government organizations, non-profit associations and standards bodies. For over 16 years, RSI Content Solutions has been at the forefront of implementing content management solutions for publishers, media companies, Fortune 1000 businesses, government organizations, and more. With headquarters outside Philadelphia, PA, USA, an engineering center of excellence in Chennai, India, and affiliate offices around the world, RSI has helped over 250 global organizations implement appropriate content management solutions. For more information, please visit www.rsicms.com. RSuite has been built specifically for organizations that need to publish to multiple channels and to serve as their centralized publishing solution. RSuite is optimized for the creation, management, repurposing and multi-format, multi-channel delivery of content by utilizing an enterprise‐strength of MarkLogic. In addition to its strong XML capabilities, RSuite manages any and all forms of digital assets (MS Word, PDF, images, audio, video, etc.) and all of its associated metadata. 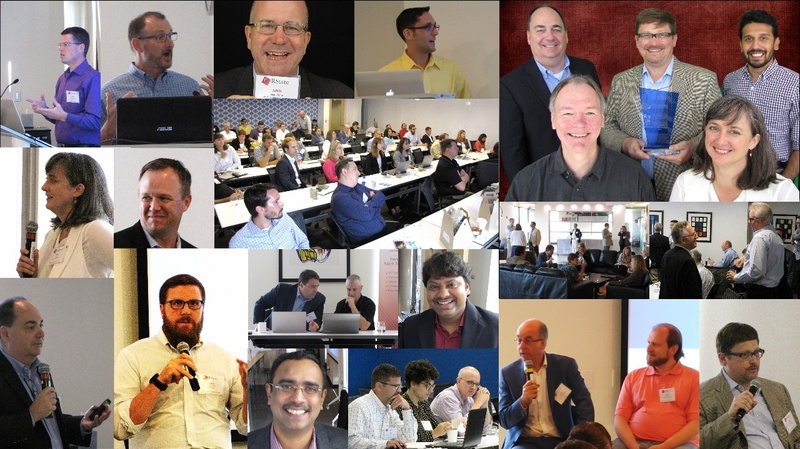 THANK YOU to everyone who participated in this year’s RSuite User Conference and Tech Day. By all accounts, it was a raging success! Thanks again to everyone for making RSuiteUC16 so fantastic…we look forward to an even bigger and better event in 2017! RSuite and MarkLogic have been partners for over a decade. Publishers need to deliver more than they ever have in the past. They need to do it faster and they need to reuse content in ways that simple have not been historically possible. One of RSuite’s greatest strengths is enabling the discovery and reuse of content, not only at a document level, but at a very deep, granular level. That’s something that MarkLogic’s native XML support helps to enable. RSuite enables publishers to automate their publishing. RSuite is Publishing Automated. Change is in the air and publishers are taking new approaches to creating products, finding new ways to reach customers and, behind it all, adopting new ways to think about and manage data. Register for the RSuite User Conference now. 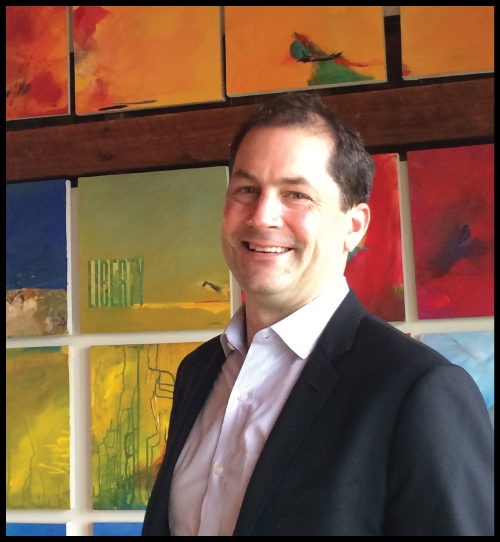 Closing RSuite User Conference keynote speaker, Matt Turner, CTO of Media and Publishing at MarkLogic, will share his experiences working with publishers tackling the tough problems facing publishers and information providers when he presents "Revolution Across the Information Industries". Innovation, adding context to applications and working with data to capture the big picture are all on the menu and it all adds up to an important moment in publishing and a real revolution in the information industries! Register for the RSuite User Conference now. As a reminder, only 3 spots remain for RSuite User Conference Tech Day which will provide attendees with a look under the covers at the technologies used to create RSuite solutions along with insights and information needed for clients to understand what's possible and begin to take ownership for development of their system by beginning to develop enhancements and extensions internally on their own. The enterprise NoSQL database powering RSuite CMS has a major new update: MarkLogic 8. A wealth of new features are available in MarkLogic 8. Many of these are designed to make managing your data simpler, cheaper, and faster than ever before and will immediately be usable with existing RSuite installations. Other enhancements will provide our product team with new tools that will power features in upcoming future RSuite releases. After taking advantage of the MarkLogic early release program, the RSuite product team has certified that RSuite is ready to be deployed using MarkLogic 8. RSuite customers may contact support at anytime for upgrade coordination. We would like to congratulate our partner on this exciting release. By advancing the state of the art for database technology MarkLogic helps RSuite continue to raise the standard for content management. For more information on MarkLogic 8 visit www.marklogic.com. For more information on RSuite visit www.rsuitecms.com. Diane Burley, Chief Content Strategist at MarkLogic explains how RSuite CMS has improved productivity and reuse by ease of search across their sales and marketing departments. MarkLogic also sees RSuite being used as a central repository, not only for sales and marketing, but expanding throughout the company. As RSuite is completely rolled out, they plan to see consistent new uses. Facing an ever increasing demand to meet multi-channel publishing goals, RSuite provides the capabilities to manage the full life-cycle of content. As MarkLogic's first technology partner in 2004, we have spent the last decade helping our clients make the most out of their investment in MarkLogic technology. Meet an RSuite representative at MarkLogic World in New York to learn how publishers such as HarperCollins, The Institution of Engineering and Technology (IET), Oxford University Press, Sage Publications, and many others use RSuite every day. If you have not yet registered for MarkLogic New York, please register for free here.